Occupied Jerusalem, ALRAY - The Trump administration decided to significantly cut U.S. support for hospitals in east Jerusalem that serve the city’s Palestinian population, US officials it is a particularly vindictive. US official said that administration deliberated for a number of weeks whether or not to include the East Jerusalem hospitals in its budget cut, since some of these hospitals are supported by influential Christian groups in the United States. The budget cut could cause harm to at least five hospitals in East Jerusalem, including Augusta Victoria hospital near Mt. Scopus and the St. John Eye Hospital, which is the main provider of eye treatments for Palestinians in the West Bank and East Jerusalem. Dave Harden, a former senior US official overseeing aid to the Palestinians under the Obama administration, said the cuts were “particularly vindictive”, warning that they could cause the “collapse” of two of the medical centers in the East Jerusalem al-Quds network. He also warned on Friday that the decision could lead to the “collapse” of Augusta Victoria hospital. 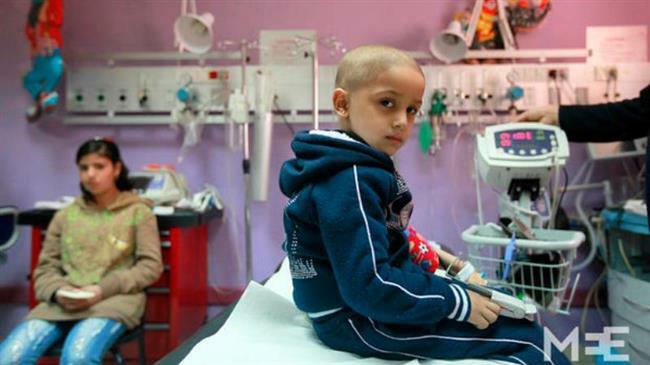 The hospital and others in East Jerusalem serve not only the city’s Palestinians, but also Palestinians from Gaza and the West Bank, including cancer patients and children. The hospitals cut is the latest action by the Trump administration to have alienated Palestinians, including the recognition of Jerusalem as Israel’s capital and moving the US embassy from Tel Aviv to the city. That was a reversal of longtime US policy and led Palestinian leadership to boycott peace efforts led by Jared Kushner, Trump’s senior adviser and son-in-law. Trump said Thursday that his administration has stopped giving financial aid to the Palestinians as a way of putting pressure on them to return to American-led negotiations with Israel. “I told them, we’re not paying you until we make a deal. If we don’t make a deal, we’re not paying," the U.S. president said. Trump made the comments during a conference call with Jewish leaders and rabbis ahead of Rosh Hashanah. His administration has recently announced that it will cut $200 million from the aid approved earlier this year by congress for Palestinians. The vast majority of that aid was not supposed to go directly to the PA, but rather, to economic and humanitarian projects in the West Bank and Gaza. In fact, the only aid budget the administration has not cancelled, is the direct support for the PA’s security forces, worth tens of millions of dollars. That money was transferred to Ramallah over the course of the summer.